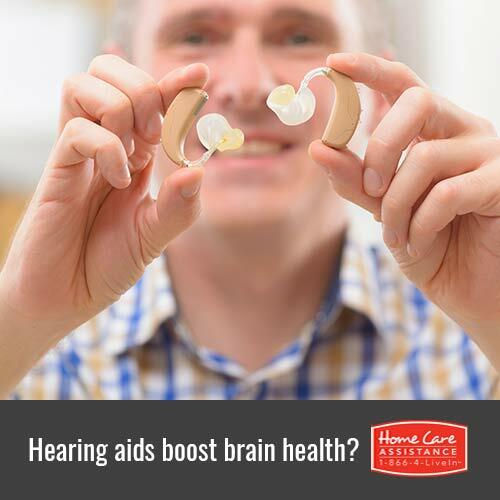 How Can the Use of Hearing Aids Boost Brain Health? In Canada, 10 percent of the population has some form of hearing loss. Approximately 50 percent of those with hearing loss are over the age of 65, and only 1 in 6 actually use a hearing aid. Untreated hearing loss can affect the brain’s ability to function normally, making it important for seniors with impaired hearing to do what they can to take care of their hearing. If your elderly loved one has hearing loss, Guelph at-home care experts recommend using a hearing aid to help preserve his or her brain health. A study published in 2015 reported that elderly individuals with hearing loss were able to prevent cognitive decline by using hearing aids. The study followed almost 4,000 seniors over the course of 25 years. Seniors without hearing loss and seniors with hearing loss who used hearing aids had similar rates of cognitive decline. In contrast, seniors with hearing loss who did not use hearing aids experienced a more rapid decline in memory and cognitive function. Researchers have speculated hearing aids boost brain health in part by facilitating social interactions. Many studies have shown seniors who have an active social life are less likely to experience cognitive decline. Participating in social activities requires a great deal of work by the brain because it has to understand and respond quickly to interpersonal interactions. Engaging in brain-stimulating activities has been shown to boost brain health and ward off cognitive decline. Seniors with hearing loss who do not use hearing aids lose brain stimulation from one of their major senses. Although the ears are essential for detecting sounds, the brain understands and interprets sounds. When seniors lose this significant source of brain stimulation, brain health is significantly affected. Other researchers believe seniors with untreated hearing loss who have difficulty understanding speech are devoting large portions of their cognitive capacity toward this activity. Thus, the brain has fewer neurons to devote to memory and other cognitive functions. Over time, the brain remodels itself and memory and cognitive function decrease in favor of efforts to understand speech. Though the use of hearing aids is strongly encouraged for seniors with hearing impairment, there are other ways to keep a brain healthy. If your loved one needs help with mental stimulation, turn to Home Care Assistance. We offer Alzheimer’s and dementia care in Guelph, and all of our caregivers are trained in the CognitiveTherapeutics Method, an activities-based program that helps slow cognitive decline and delay the onset of dementia. 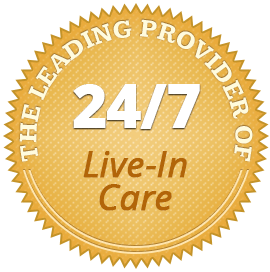 For more information on how our in-home care services can help your loved one keep his or her brain healthy, call one of our experienced Care Managers at (519) 954-2111.